Employers Direct Insurance Co. said that it will stop writing new or renewal workers' compensation policies in California as of August 1, and is cutting staff by 18 percent. Pasadena engineering firm Tetra Tech Inc. said it acquired an engineering firm based in Diamond Bar, Bryan A. Stirrat & Associates, for an undisclosed amount. It's the company's fourth acquisition this month. Colony Financial Inc., a newly formed subsidiary of Century City investment firm Colony Capital LLC. said it had filed for an initial public offering of its common stock . Attorneys for George Torres, whose conviction on charges of murder-for-hire and racketeering were overturned in June, are now seeking to have additional convictions against him dismissed. In a contentious case reaching back to the 2004 presidential campaign, a federal judge agreed to dismiss a final charge of illegal campaign finance violations against prominent Los Angeles attorney Pierce O'Donnell. The Walt Disney Co. and Hong Kong have reached a deal to expand the territory's Disneyland at a cost of about $465 million in hopes of boosting the theme park's fortunes. Los Angeles Mayor Antonio Villaraigosa announced that he would not be running for California governor in 2010, ending months of speculation that he would make bid for higher office. Grupo Gallegos, a Long Beach ad firm focused on the U.S. Hispanic market, has won a 2009 Radio Mercury Award in the Hispanic category for a radio spot from its "Subtitles" campaign for cable TV operator Comcast. L.A.'s PortBlue Corp. said it has agreed to sell its main product, the CommandAware hospital incident management system, for an undisclosed amount. Engineer Timothy Psomas, handy at numbers in the days before calculators, now flexes a green thumb on the family farm. Weber Shandwick's West Hollywood office has launched a new division called Social Studio to help the PR agency's clients build their online presence. Michael Jackson's mother, Katherine Jackson, was granted temporary custody of his three children by a Los Angeles court as she and her husband sought interim control over the late singer's estate. LAPD Chief William J. Bratton salutes retail chain Target's anti-crime pursuits. Northrop Grumman Corp. and British partner Cobham said that their joint venture had been awarded a major contract to provide battlefield communications equipment to the U.S. Army. The W Hollywood Hotel & Residences at Hollywood Boulevard and Vine Street is still on target for its Dec. 3 opening. Is Anybody Willing To Take the 'Fifth'? The dream of a more dynamic downtown L.A. took a blow with the Park Fifth project going up for sale. A shortage of radioactive material necessary for medical imaging is giving headaches to L.A. doctors who use the scans to better diagnose ailments such as bone cancer and heart disorders. Taking a seat recently on the board of Otis College of Art and Design is allowing City National Corp.'s Thomas R. Miller to relive some of the best moments of his younger days. Flavored tobacco and water pipes were once uncommon sights at L.A. eateries. Now they're everywhere. The city of L.A. may step in with a loan to keep a Cirque du Soleil project airborne. Charles Crumpley writes that the hypocritical director of sloppy documentary "Bananas!" has lost his appeal. BreitBurn Energy Partners LP said that it had sold some of its natural gas contracts to reduce debt under its credit facility. The trustee for a bankrupt payroll firm alleges the owners' former attorney helped them loot the business. Business has heated up for ad shop 72andSunny since its successful campaign for a Nike jogging shoe with an embedded computer chip. The station formerly known as KLSX has something to talk about in the ratings race after now that it's switched to Top 40. Under the weight of a portfolio full of shaky loans, FirstFed is working to stabilize its standing. Concern about future earnings is all that's slowing Aerovironment. Beverly Hills-based equity firm OpenGate Capital said that it is acquiring auto-parts manufacturer Gabriel North America from ArvinMeritor Inc. for an undisclosed price. Roy Disney's Shamrock Activist Value Fund L.P. said that it plans to nominate three candidates for election to the board of Dallas cement giant Texas Industries Inc., a company Shamrock believes could be better run. Operators of the Queen Mary have fallen behind in payments to keep the hotel shipshape. While many programs in state government face steep budget cuts, funds for fighting workers' compensation fraud have remained mostly intact. Online auctioneer Bidz.com has seen shares decline in the wake of a series of shareholder suits. TV Judge Joseph Wapner and his nephew are courting root beer lovers with a new beverage. A growing desire for business guidance has fueled an Internet radio advice show's jump to broadcast. Gerald Alcantar, vice president of diversity development at Fox Entertainment Group, left his shoes on during the recent Barefoot Thursday event at the Los Angeles Midnight Mission in downtown's Skid Row. Federal and state regulators seized Koreatown's Mirae Bank and sold its most of its assets to rival Wilshire State Bank, marking the third bank failure in Los Angeles County this year. Wrenching job cuts at News Corp's MySpace are only the first steps the Beverly Hills-based online hangout must take to regain its cool, analysts and former employees say. KB Home reported a lower loss in the second quarter but it was worse than expected. Shares fell 9 percent on the news. Inspection reports from a Nestle USA cookie dough factory show the company refused several times in the past five years to provide Food and Drug Administration inspectors with complaint logs, pest-control records and other information. Despite Michael Jackson's well-earned reputation for eccentricity and free-spending ways, he made several savvy business moves that kept him financially afloat far longer than his lavish and bizarre lifestyle might otherwise have allowed. The Los Angeles Business Journal's index of the 200 largest local public companies closed up sharply for the week ended June 26, despite mixed overall markets that were reacting to a rise in the nation's savings rate and fall in crude oil prices. Homebuilder Ryland Group Inc. said in a regulatory filing that it terminated a $200 million credit line it said it no longer needed, and plans to fund operations with its cash. Bankrupt auto parts maker Delphi Corp. is defending its proposed sale to Beverly Hills-based private equity firm Platinum Equity, saying claims that the transaction was a sweetheart deal were unfounded. Insurance Commissioner Steve Poizner announced that he has approved the sale of Woodland Hills-based 21st Century Insurance to Farmers Group Inc. Lawmakers on a congressional oversight panel are struggling with whether to ramp up a probe into a controversial home-loan program at Countrywide Financial Corp. that involved former Chief Executive Angelo Mozilo. Ameron International Corp. said that the continued slow economy contributed to a 42 percent drop in fiscal second quarter profit, but the results beat Wall Street expectations and its stock gushed. Occidental Petroleum Corp. is drilling exploratory wells in California in a bet that deposits there hold hundreds of millions of barrels of crude. Gov. Arnold Schwarzenegger's plan to raise $1 billion by selling part of the state's workers' compensation insurance company is running into strong flak from small-business advocates, the insurance industry and the state's elected insurance commissioner. Real estate industry Web site operator Move Inc. said it had sold the assets and certain liabilities of its Welcome Wagon property to South Florida Media Group. CKE Restaurants Inc. has reported better-than-expected fiscal first quarter earnings. The operator of the Carl's Jr and Hardee's fast-food chains said cost cutting helped minimize the decrease in net income despite declining sales in the poor economy. Blooger Nikki Finke's Deadline Hollywood Daily has been acquired by the Mail.com Media Corp., reportedly for up to $10 million. Sea Launch Co. has filed for Chapter 11 protection, citing recurring losses from operations. The Pentagon said that a unit of Northrop Grumman Corp. won a contract to provide a communications network to be used on Air Force military drones. The deal is valued at $276 million. Videogame publisher THQ plans to refocus its efforts on making franchisable properties that it can also exploit as movies, TV shows and comicbooks. Dole Food Co. is using a California judge's recent finding to fend off $2 billion in verdicts for pesticide poisoning. Rentech Inc. said it agreed to sell $6.4 million worth of stock to some current institutional shareholders. The Los Angeles developer of synthetic fuels and chemicals technologies also announced an acquisition and investments in two other companies. MySpace.com said it planned to close at least four of its international offices and reduce its overseas staff by two-thirds. Internet test systems provider Ixia said it successfully completed its tender offer for Catapult Communications Corp., which offers similar products for the telecom industry, in a deal valued at $105 million. AeroVironment Inc. reported fiscal fourth quarter results above Wall Street expectations. The results were driven by strong sales at both its unmanned aircraft and energy systems businesses. Jacobs Engineering Group Inc. said it received a follow-on contract worth up to $200 million to provide aerospace testing and facilities operations and maintenance for NASA at the Ames Research Center in the San Francisco Bay Area. MGA Entertainment Inc. has reached a confidential settlement with its insurers over payment of the damages and court costs in the company's legal tussle with rival toymaker Mattel Inc.
A new Milken Institute report attributes the departure of 79,000 manufacturing jobs from California between 2003 and 2007 to onerous regulations and high taxes. Vittorio Cecchi Gori may have gotten a legal reprieve when a Los Angeles judge canceled a contempt hearing aimed at deciding whether the Oscar-winning producer ignored court orders as part of a lawsuit brought by an ex-employee. Satellite service DirecTV is beaming over its planned targeted-advertising program. L.A.'s car dealerships are motoring along despite earlier fears of catastrophe. A new investment banking firm has started up in Century City, with its founders hoping to take advantage of the abundant capital being thrown around by private equity firms. The Securities and Exchange Commission on Monday filed civil fraud charges against Los Angeles investment adviser Stanley Chais related to his involvement in the Bernard Madoff case. The Long Beach City Council will have a chance to weigh in Tuesday on last week's revelation that the operator of the Queen Mary is behind on its required renovations. Home improvement company Lowe's Cos. Inc. has opened a 117,000-square-foot location in Pacoima. Social networking site MySpace hopes to click again with Web users it has lost to rivals. Los Angeles Mayor Antonio Villaraigosa said that he would not be running for California governor in 2010 after flirting with a bid for higher office for months. Amgen Inc. has moved to a key stage for its potential blockbuster drug denosumab with the Food and Drug Administration announcing that a panel would review the drug, which is an experimental treatment for osteoporosis, in August. FantaSea uses yachts and a club in Marina del Rey to stage events like parties and weddings with a focus on serving gay and ethnic clientele. MySpace's recent staff reduction is another reminder of Web 2.0's virtual shortcomings. Venable LLP continued its expansion into Southern California with the addition of eight tax and estate planning attorneys to the firm's Century City outpost. This is usually the time when state legislators begin sparring in earnest over the adoption of a new state budget for the fiscal year that begins July 1. But not this year. Some institutions curbed risk by adhering to stricter lending practices. Salem Partners LLC said aerospace and defense finance veterans Trevor Bohn and Sean Walker have joined the Los Angeles boutique investment bank to lead a new aerospace and defense industry group. SHIPPING: Long Beach port to test device's ability to reduce air pollution. Koreatown banks have boosted their customer bases with a currency exchange service for the Korean won. Tim Mann's seminars help prepare boys for manhood. Risky commercial real estate loans a drag on Koreatown banks. Tesla and Coda have the similar goal of developing an all-electric sedan for the mass market. But the two companies have completely different styles. Recent graduates of rabbinical schools are finding today's job market a tough go. Events of interest to the Los Angeles business community. As Los Angeles mulls a citywide affordable housing ordinance, developers gear up to knock it down. In the annals of graffiti artistry, Sean Percival's feat has to stand out: The local tech blogger managed to graffiti a wall 7,500 miles away. City National's Mark Forbes talks past, present and future of the local banking industry. The Los Angeles Dodgers have signed a four-year sponsorship deal with financial services firm John Hancock Financial Services Inc.
Sunne Wright McPeak urges business and political leaders to help all Californians get a line on broadband Internet access. The local medical office market remains healthy as commercial and residential sectors struggle. Beverly Hills investment fund Platinum Equity may face competition in its bid to purchase bankrupt auto parts maker Delphi Corp.
Design has been on Andy Logan's mind since his early years growing up in Ojai. The West L.A. office of Moss Adams, a national accounting firm, has named Mindy McLees senior manager of property tax. Hollywood Property Owners Alliance adapted kids' character Flat Stanley to tout area's economic resilience. Moody's Investors Service has downgraded all its ratings of KB Home, on the expectation that the Los Angeles homebuilder will continue to post operating losses and its pace of cash generation will slow as inventory reduction becomes more challenging. Construction company Kiewit Pacific Co. recently signed a big sublease at the Howard Hughes Center after getting a piece of a $950 million government contract. Local banks already limping from residential mortgages fear being tripped up by their commercial loan portfolios. Local concierge business has homed in on wealthy customers who need a hand. Car salesman and SoCal TV icon Cal Worthington channels his inner Texan when running his dealerships. Three limited liability companies managed by controversial businessman Ezri Namvar have been put into involuntary bankruptcy. The Los Angeles Business Journal's index of 200 largest local public companies moved lower during the week ended June 19. The world's largest commercial property brokerage borrowed $450 million Thursday at a steep interest rate as part of the firm's effort to stay solvent. In a sign the recession still has a firm hold on Los Angeles County, the jobless rate climbed to 11.6 percent in May, according to new state figures. New structure puts more power in the hands of Chairman and Chief Executive Howard Stringer. Los Angeles County is getting whacked harder by the current recession than other areas of the state and country, according to a Los Angeles Economic Roundtable study. State regulators have approved a proposal from Southern California Edison to install, own and operate rooftop solar panels capable of generating 250 megawatts of power within its service territory. Government report also found officials from the Office of Thrift Supervision made mistakes with Pomona-based PFF Bank & Trust. Shares of East West Bancorp Inc., the Pasadena holding company for East West Bank, jumped after an analyst raised his rating on the stock. Walt Disney Co.'s ABC television network has completed the merger of its TV programming and production divisions and named veteran executives to run the operation. New York Attorney General Andrew Cuomo announced Thursday that Health Net Inc. has agreed to stop using data from Ingenix to set its insurance rates and instead will contribute $1.6 million toward the creation of a new data source. A stock repurchase program announced by Tix Corp. sent shares in the company up as much as 11 percent in early trading Thursday. Gov. Arnold Schwarzenegger on Wednesday fired off a warning to Democratic lawmakers who are considering raising taxes. A day after Platinum Equity issued a statement saying it wants an "open and competitive process" for its planned purchase of bankrupt auto parts maker Delphi Corp., reports suggest that other suitors could make bids. Lakers fans aren't letting the recession rein in their parade. Billionaire investor increases his holdings in the film company to 15.9 percent. A judge on Wednesday postponed the contempt hearing of an L.A. attorney accused of defrauding Dole Food Co. by training Nicaraguan men to make false claims. The Los Angeles Lakers championship celebration and parade today is being financed by several members of the Los Angeles Business Journal's annual directory of Wealthiest Angelenos. Shares of Internet horse-race gambling company Youbet climbed 12 percent after the company announced an agreement that will allow customers to place bets online with electronic cash. Shares of Hanmi Bank continued a three-day climb on Wednesday after an online newspaper reported that the bank could be acquired by Woori Finance Holdings Co.
Satellite broadcaster DirecTV Group has announced a new service that can channel ads to specific viewers based on their location, the Wall Street Journal reported Wednesday. The state's budget crisis could short circuit the recovery that was expected to start the second half of this year, according to latest quarterly economic forecast issued Tuesday morning by the UCLA Anderson Forecast. Shares of Maguire Properties Inc. declined 11 percent in mid-morning trading after an article in the Wall Street Journal online said the company had failed to make the June mortgage payment for an office building. A note from a Citigroup analyst predicts that a coming round of consolidation in the software sector could result in Calabasas-based game developer THQ Inc. getting swallowed. Social networking site MySpace announced Tuesday that it will reduce its staff by nearly 30 percent, or about 400 employees. In midst of financial crisis, city asks for help with $2 million celebration. Avery Dennison Office Products on Tuesday announced a new page of its Web site that provides "a one-stop shop" for labels and postage. Designers from Los Angeles won designer of the year statuettes for both womenswear and menswear. Business council looks to heat up relations between L.A. and Canadian companies. Contractors should expect the bleeding from California budget cuts to linger. Cook Family Trust has purchased a Commerce industrial building for $3 million from Chang Triangle LLC. Matt Welch believes Long Beach can offer a road map to Detroit on how to diversify the local economy. Hanmi Bank shares soared on news that a Korean investment firm will take a 14.9 percent stake in the company in exchange for $11 million in capital. Sometimes you can't always get what you want and that's probably just as well. Special controllers let video game makers get their hands on bigger pool of players. As a child in South London, Neil Huxley said that he constantly had his face in a comic book. Staar Surgical is shining bright with investors after government approval for two of its medical products. The acquisition of a Canadian peer makes Andrews International the largest private security guard company in the U.S.
John Di Carlo has been named managing partner in the Long Beach headquarters of Windes & McClaughry Accountancy Corp.
Mattel's recent fine over lead contamination has cast a pall over the local toymaking industry. Shares of Maguire Properties Inc. jumped nearly 50 percent Monday after the company announced it had sold an Orange County office building for a reported $160 million. More regulations are on the way to protect construction workers, landscapers, road crews and other outdoor workers from heat illness. The recent interest rate hike may have spiked the dreams of homeowner hopefuls, writes Charles Crumpley. Mercury Media, the largest private direct-response media buyer in the country, went outside the advertising industry to hire its new chief executive. Los Angeles is losing ground in its battle with Silicon Valley over content distribution, according to Jonathan Handel. Six Flags Inc., one of the world's largest amusement-park chains, will be mostly owned by its lenders if a bankruptcy judge approves a deal negotiated between the company and its debt holders. An L.A. company has high hopes for a watered-down plan to store and transport H2O in the Mojave Desert. The slowdown at the Port of Los Angeles continued in May as container traffic fell 16 percent compared to last year, according to statistics released Monday. Boeing Co. will offer a tanker version of its 777 plane as it seeks to beat Northrop Grumman Corp. in a rematch of the U.S. aerial-refueling competition. City National Bank has extended its pickup game with the purchase of Lee Munder Capital Group. Jerry West, the former player and exec synonymous with the Lakers, is now putting his stamp on the Northern Trust Open golf tournament. Maguire Properties continues to sell off buildings to narrow its massive debt. Point.360 has purchased an 18,000 square foot building in Hollywood where the multimedia services company will consolidate two existing operations. Opening a car dealership amid the auto industry crisis might not be the most auspicious start for a business, but that's not how Greg Bozzani sees it. Can Ex-Grocery Owner Claim Damages for Sale? Former grocery chain owner would face difficulties seeking financial damages after several criminal convictions were tossed. Burbank-based Matthews Studio Equipment's movie-set products travel well overseas. Kennedy Wilson Inc., a Beverly Hills real estate investment firm, has purchased the 149 remaining condos at the Mercury high-rise in Koreatown. Rock & Republic hopes its discount apparel line fits consumers' budgets. A U.S. appeals court denied MGA Entertainment Inc.'s request to halt the transfer of its Bratz fashion doll business to rival Mattel Inc.
Gary Concoff, has traveled to the Cannes Film Festival more than a couple of dozen times, but he isn't an actor. The slowdown in the auto industry took its toll on Motorcar Parts of America Inc. as the Torrance remanufacturer of alternators and starters reported slower quarterly sales. State insurance regulators have settled four lawsuits worth $37 million stemming from the 2003 failure of Glendale workers' compensation insurer Fremont Indemnity Co.
At graduation ceremonies on Friday, Caltech President Jean-Lou Chameau announced that Stewart and Lynda Resnick had donated $20 million toward a new sustainability center. It wasn't a hot tip or an undercover informant that helped seal their fates, but a computer check of Social Security numbers. Occupying 102 acres of irreplaceable coastline just 20 miles south of Los Angeles International Airport, the luxurious Terranea Resort opened to the public on June 12. Cargo shipments through the Port of Long Beach grew for the third straight month in May, but the total was still down more than 20 percent from a year ago, according to figures released by the port. 99 Cents Only Stores Inc. finished out a strong week with its shares rising nearly 5 percent Friday after a research firm upped its target price for the stock on expected strong earnings. Los Angeles area business leaders traveled to Sacramento Thursday to push for more business-friendly legislation, but came away mostly empty handed as lawmakers' attention was consumed by the state's budget crisis. The Los Angeles Business Journal's index of the 200 largest local public companies barely moved during the week ended June 12, even though several companies on the list saw dramatic swings in their stock prices. The number of cargo containers shipped through the Port of Long Beach in May grew for the third straight month, according to new figures, but the total was still down more than 20 percent from the same month a year ago. Yacht builder Gambol Industries wants to build a modern ship-building facility while the port, dockworkers and businesses prefer the site to be a dump for toxic material dredged from the harbor. A U.S. appeals court has denied MGA Entertainment Inc.'s request to halt the transfer of its Bratz fashion doll to rival Mattel Inc.
Japanese automaker Honda is marking its 50th year in the United States. The company is a big economic engine for Torrance, where the American operations are based. Platinum Equity, which announced this month a $3.6 billion acquisition of bankrupt Delphi Corp., may not end up with the auto parts supplier after all. Aecom Technology Corp. said it has been awarded a $16 million contract to provide a variety of engineering and specialist services for a new Cleveland Clinic Hospital in Abu Dhabi. The Screen Actors Guild's overwhelming 78 percent contract approval marks a clear move toward moderation within the long-feuding union , setting the stage for this fall's election and the contract negotiations in 2011. Stunned by the spread of medical marijuana dispensaries in Los Angeles, the City Council has moved to close a loophole that had encouraged their rapid growth. CB Richard Ellis Inc. said that hedge fund operator Paulson & Co., will buy $100 million in stock as part of a $550 million capital-raising effort by the real estate services provider. Internet technology company Ixia said it will cut up to 10 percent of its employees and implement other cost savings as part of a restructuring initiative. Cherokee Inc. said its first-quarter net income fell 18 percent due both to a stronger dollar and weaker demand for its licensed apparel. Bank of America Corp., already on the hook to the U.S. government for $45 billion, has another bill to worry about: Angelo Mozilo's legal fees. 99-Cent Only Stores said that it swung to a profit in its fourth quarter as recession weary consumers continued to flock to its discount stores. City National Corp. said it has agreed to acquire a majority interest in Lee Munder Capital Group, a Boston investment firm that manages assets for corporations, pension funds, endowments and affluent households. Pomegranate juice maker Pom Wonderful has reached a confidential settlement with Fresherized Foods Inc. over allegations that the Texas food supplier falsely advertised its juice as being 100 percent pomegranate. Staar Surgical Co.'s share price more than doubled Tuesday on news that the medical device company received European Union approval for its system designed to more easily implant lenses in the eyes of cataracts patients. The superagent Ariel Z. Emanuel, brother of President Obama's chief of staff, has emerged in the last six weeks as the pre-eminent power player in Hollywood. Mark Rachesky, who backs the beleaguered studio's management, could replace Mark Amin, who has sold three-quarters of his stake. A Los Angeles federal judge has tossed out two of the most serious convictions in the racketeering case against Hispanic supermarket mogul George Torres, who had been facing a potential life sentence on charges that included solicitation of murder. With more than 30 years of accounting and executive experience, Michael A. DiGregorio knows how to connect the financial dots. Los Angeles Times' parent Tribune Co. and its creditors are in the early stages of negotiating a plan that sources said likely would transfer control of the troubled media conglomerate from Sam Zell to a group of large banks and investors. What Was That Laker Doing Here? Usually all Balwinder Samra sees inside the electric truck manufacturing facility he oversees as chief executive of Balqon Corp. are truck parts and employees. Technical problems have delayed posting of the online edition of Business Journal's June 8 issue. We appreciate your patience. Proposed size limits on signs could put the squeeze on new L.A. businesses. Defense cuts have grounded Northrop shares, writes Charles Crumpley. Turnaround specialist Platinum Equity may have its mettle tested with auto parts supplier Delphi. A local residential brokerage is doubling down on the Santa Clarita Valley, even though the area has been decimated by the subprime meltdown and recession. The down market may leave owners of a new penthouse office property high and dry. Organizers of the E3 video game expo feel they have hit the right balance of business and fun. 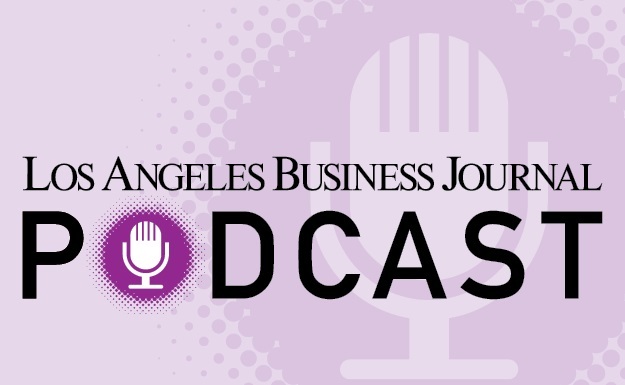 L.A. Base Fuels Honda's Drive Into U.S.
Honda set foot in L.A. 50 years ago, helping the Japanese car maker establish a firm toe hold in the U.S.
Former L.A. Daily News Publisher Tracy Rafter now speaks up for business as BizFed CEO. Conservation programs throughout the state will cut into groundwater replenishment, according to Wayne Lusvardi and David Powell. RCMI has purchased a Sherman Oaks apartment complex for $16.5 million. The median price of Los Angeles County homes rose in May after nearly two years of declines. Michael Phelps' success at last year's Beijing Olympics came with the help of better swimsuit technology. Burbank radio station turns to Spanish music after axing funnyman Rick Dees. The slow economy in 2008 took a healthy bite out of chief executive paychecks in Los Angeles. City redevelopment officials are looking to bring manufacturing back in a big way to downtown Los Angeles with a green twist. DirecTV Group Inc. Chief Executive Chase Carey will leave the El Segundo satellite TV provider July 1 to become vice chairman and chief operating officer at News Corp. Coaching icon John Wooden believes optimism is key to coping with today's economy. An Echo Park couple gets hands on when it comes to picking head lice. A Los Angeles judge must decide whether the programming exclusivity that Televisa promised Univision when the two Spanish-language media companies became partners in 1992 extends to the Internet. MannKind Corp.'s chief executive officer said the small biotech is getting increased interest from larger drug makers to partner on its new Afresa inhaled insulin product, which U.S. regulators are reviewing. Car magazine Dub has fueled the parent company's diverse branding activities. Manhattan Beach-headquartered Kinecta Federal Credit Union has appointed Mary Yasui-Yamabe chairwoman. Paul Little fears a plan to raise water prices in Pasadena will swamp commercial users. A group of attorneys has left Kirkland & Ellis LLP and jumped to Jones Day LLP, giving the latter firm a bankruptcy practice in downtown Los Angeles. A new documentary celebrates a lawyer's battle with Dole despite a judge saying the case against the food giant is fraudulent. National Lampoon's former CEO is the last man standing as a stock fraud case heads to court. The few local mortgage lenders that remain soon won't have the same business freedoms they once enjoyed if a Torrance politician has his way. OpenGate Capital, the Los Angeles private equity firm that bought TV Guide magazine last fall, said it planned to acquire two youth publication divisions from French media giant Groupe Le Monde. Billionaire investor Carl Icahn has increased his stake in Lions Gate Entertainment Corp. to 15.6 percent after buying more than 1.3 million shares in recent weeks. A year after making one of the largest office leasing deals in more than a decade, Fox Interactive Media is abandoning plans to move into nearly a half-million square feet of office space in Playa Vista. Will Warner Grow Tired of New Line, Its Pet Indie? Toby Emmerich and Richard Brener are trying to maintain New Line Cinema's indie spirit after the studio was swallowed by Warner Brothers. Cadiz Inc. said it had reached agreements with five Southern California water providers to partner on a potentially controversial $200 million underground water storage project. Buying aerial refueling tankers from both Northrop Grumman Corp and Boeing Co., on a competitive basis, could offer significant long-term savings, according to a report prepared by Northrop. Teledyne Technologies Inc. said that a subsidiary was awarded a contract to develop electronic devices and circuits for the Defense Department. Farmers Insurance Group has signed a multi-year agreement to put its corporate logo on the jerseys of the Los Angeles Sparks women's professional basketball team. The Los Angeles Business Journal's index of the 200 largest local public companies closed up for the week ended June 5, despite mixed economic data that slowed the overall markets late in the week. Mattel Inc. and its Fisher-Price subsidiary will pay a $2.3 million civil penalty in an agreement with the U.S. Consumer Product Safety Commission for selling Chinese-made toys with hazardous levels of lead. Thanks to airline and hotel deals, vacationers are still coming to see the stars, but they're spending less on dining and attractions. Long Beach logistics company UTi Worldwide Inc. said its fiscal first-quarter earnings fell 27 percent as freight and logistic volumes continued to be weak in the slow economy. The results were worse than Wall Street expected. The Walt Disney Co., Hearst Corp and NBC Universal are in talks to create a new corporate entity comprising the 10 cable channels the three companies own jointly, including A & E;, Lifetime and History. Nielson has closed the trade publication Radio & Records, leaving about 30 staffers out of work, and laid off another 10 people at the venerable Hollywood Reporter. May sales for trendy retailers Hot Topic Inc. and American Apparel Inc. were slower that analysts had predicted as shoppers focused on sales and bargains. DirecTV's CEO Heading to News Corp.
DirecTV Group Inc. Chief Executive Chase Carey will return to News Corp., as Rupert Murdoch's right-hand man, both companies said. Scott Crystal, the TV Guide chief executive who resigned over the weekend, has fired off an e-mail to former colleagues claiming the new owners are engaged in a "self-enrichment" scheme that will siphon away millions from the money-losing magazine. Former Los Angeles City Councilwoman Cindy Miscikowski has been appointed by Mayor Antonio Villaraigosa to the Los Angeles Board of Harbor Commissioners, which governs the Port of Los Angeles. Miles Electric Vehicles Inc., a Santa Monica start-up that imports electric vehicles from China, on Wednesday unveiled an all-electric sedan that it hopes to start selling in United States next year. A settlement now appears likely in the legal dispute between rivals Mattel Inc. and MGA Entertainment Inc. over the Bratz fashion doll line. Digital voice and video provider XCast Labs Inc. said it had closed a $2.7 million financing round, which was led by Santa Monica boutique investment banker Siemer & Associates LLC. Center Financial Corp., which largely targets Los Angeles?Korean-American community, said that its directors had named Jin Chul Jhung as its chairman and appointed Kevin Sung Kim to the new position of vice-chairman. Steve Poizner, California's insurance chief, is unveiling rules that would deter health insurers from dropping policyholders who develop costly ailments. K-Swiss Inc. said it will acquire the remaining equity interest in French shoemaker Palladium SAS that it doesn't already own for about $7.1 million. Los Angeles private equity firm Platinum Equity is buying most of Delphi Corp., which will enable General Motors Corp.'s largest supplier to emerge from Chapter 11 bankruptcy protection after more than three years. Zico Coconut Water said that it has relocated its headquarters from Oradell, N.J. to Hermosa Beach. Los Angeles-based money manager TCW Group said Chief Executive Robert D. Beyer would step down at the end of June as the company prepares to separate from its French parent. California is paying out so much for jobless benefits and collecting so little in payroll taxes that its unemployment insurance fund could be $17.8 billion in debt by the end of 2010, according to a new state report. California Labor Commissioner Angela Bradstreet has filed lawsuits to shut down nine carwashes ?six of them in Los Angeles ?for failing to register with the state. Youbet.com Inc. said Chief Operating Officer David Goldberg has been named chief executive, effective immediately. Goldberg succeeds Michael Brodsky, who will become executive chairman. In one of the year's biggest commercial real estate deals in Los Angeles, a medical office building on the UCLA campus is trading hands for $42.3 million. Ex-L.A. Times reporter has enlisted other unemployed journalists to conduct after-school programs. Edison International said it will be difficult to keep increasing its use of renewable energy as the latest goal set by Gov. Arnold Schwarzenegger stretches limits on the ability to manage such power sources. Federal authorities are conducting a criminal investigation of businessman Ezri Namvar. The ports of Los Angeles and Long Beach, along with truckers in desperate need of financing to buy new trucks, got some good news last week when state officials said some of the millions promised to them to help out will finally roll in. Eventts of interest to L.A.'s business community. Tesla's plan for a SoCal electric-car plant seems to have short-circuited. DirecTV Chief Executive Chase Carey is being tapped to become the second in command at News Corp , replacing Peter Chernin when he steps down after the end of his contract in June, according to executives familiar with the conversations. Cab Companies Hope Hybrids Can Hack It in L.A.
L.A. cab companies are abuzz about adding hybrid fuel vehicles to their fleets. Power Brands serves up the how-to for celebrities and others looking to get into the beverage business. For Mandy Nelson, making a difference in the community is all that matters. So when it came time to choose a profession, she went into teaching. Let's just say it didn't work out. Ron Shinkman would begin to fix the Dodgers by sending Manny Ramirez home for good. Earth Island, the manufacturing arm of Follow Your Heart vegetarian foods, is expanding its presence in Chatsworth with the purchase of a building for shipping and receiving food products. Citysearch, having lost ground to rival Yelp as the Web's leading business search site, is fighting back. Kidney dialysis clinic operator DaVita sees a healthier future by leaving L.A. County for Denver. Boy's science project blossoms into root beer business. Rob Carpenter believes government agencies should be more plugged into connecting online with the public. A showdown is looming between developers and environmentalists in L.A. County over reducing water runoff. Businesses are dialing in to micro-message service Twitter to connect them to customers. "My Three Sons" actor hopes baby boomers boost his rock band's profile. William Morris' merger with Endeavor came with a heavy cost for the chairman: It alienated several close colleagues, triggered layoffs and ultimately accelerated his own exit. L.A. billionaire investor Kirk Kerkorian has gained tighter control over Delta Petroleum Corp. Guess co-founder Georges Marciano says his gubernatorial campaign is about empowering the people. Controversial PennyMac is banking on distressed mortgages to fuel interest in its IPO. Charles Crumpley thinks the good news about some laid-off journalists is their entrepreneurial spirit. David Ridini has joined Canyon Capital Realty Advisors, a Century City money management firm, as managing director. Business leaders fear new city lobbying rules will do nothing to diminish union influence in Los Angeles. Dentsu America Los Angeles has driven its client Famima underground. What do you do after selling your company to Johnson & Johnson for nearly a billion dollars? Owners say their businesses have grown thanks to reality TV's spotlight. Patricia Palleschi fears governmental focus on job training has trumped the need for job creation. Lions Gate Entertainment Corp. reported a larger-than-expected loss for fiscal 2009 largely due to a slower box office earlier in the year. Some people are embarrassed to admit that they're geeks. Then there are those who not only embrace their geekiness, but throw parties to celebrate it.